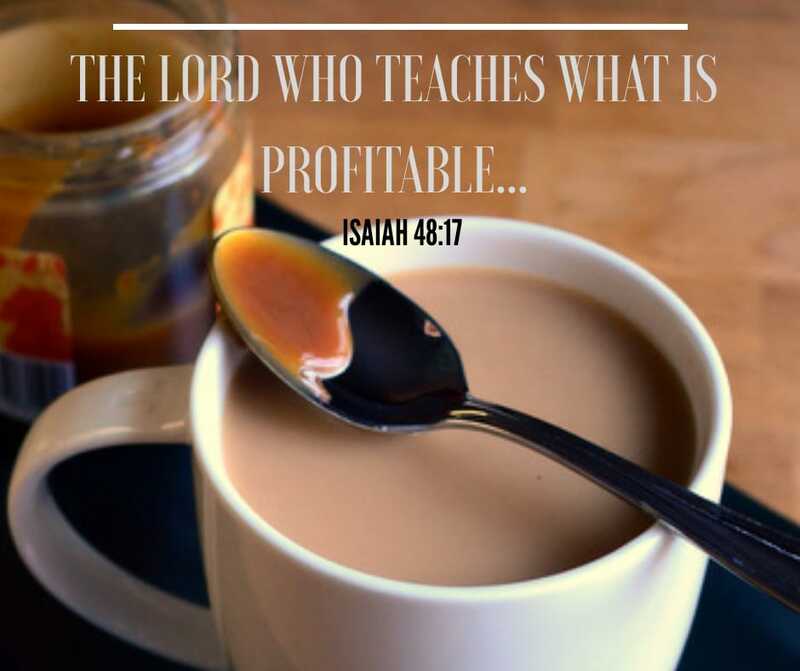 THE LORD WHO TEACHES US WHAT IS PROFITABLE. There is a way I make my tea and there is a way Johnny makes his tea. I on the other hand, gladly gulp mine, very fast. Trust me, my tongue’s taste buds cannot differentiate anything! I can confidently say I am still a rookie, but am learning! Mix milk and water together in the same metal pot, bring it to boil, strain some tea leaves and vualaaaa! Tea! We got to discuss my “assumptions” and I was as guilty as charged. This is what the LORD says–your Redeemer, the Holy One of Israel: “I am the LORD your God, who teaches you what is good for you and leads you along the paths you should follow. So many times, our past experiences hinder us from being led by God. We follow what is comfortable for us. We are okay just being “good” yet God wants to teach us what will profit us now and for the days to come. Our friends, and social media muzzle up the voice of God. His silent voice cannot be heard when everyone is applauding you. He teaches us what will profit us. He speaks His truth to us, but most of the time, we never listen. We brush it all off just like I did to my husband. His truth, will profit us. His WILL, will profit us. His ways, will profit us. His ordinances, will perfect us. We have to humble ourselves and realize that someone else knows a better way. Jesus is the way! Jesus knows what is best. Accept to be taught by the Lord. Humble yourself to learn and inquire of the Lord for His precepts are right giving joy to the heart (Psalms19:8). Are you like me then or will you accept to have a teachable spirit? Next PostPICK YOU BATTLES WISELY! Yes the Lord teaches us when we are humble enough! Keep being encouraged!